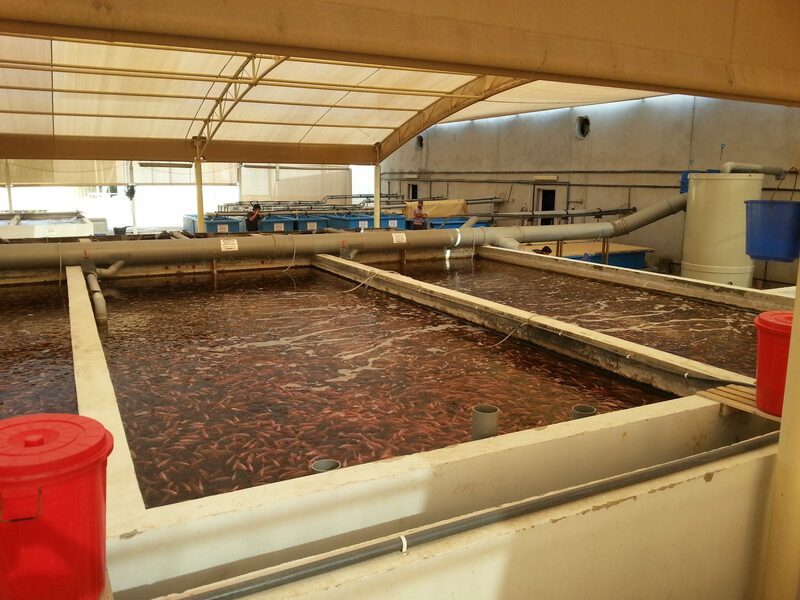 In Dubai Aquaculture ID has constructed a 250 MT Tilapia RAS (Recirculating Aquaculture System) grow out and corresponding tilapia hatchery. The design of this RAS grow out system has been performed by our technicians in our office in The Netherlands. After accomplishment of the design, local contractors started with the local preparations. While local contractors were busy with ground work, reinforced concrete work (existed out of fish tanks, mechanical filter tanks, pump tank, water distribution canals, etc.) and the building we shipped out all technical equipment from our premises. 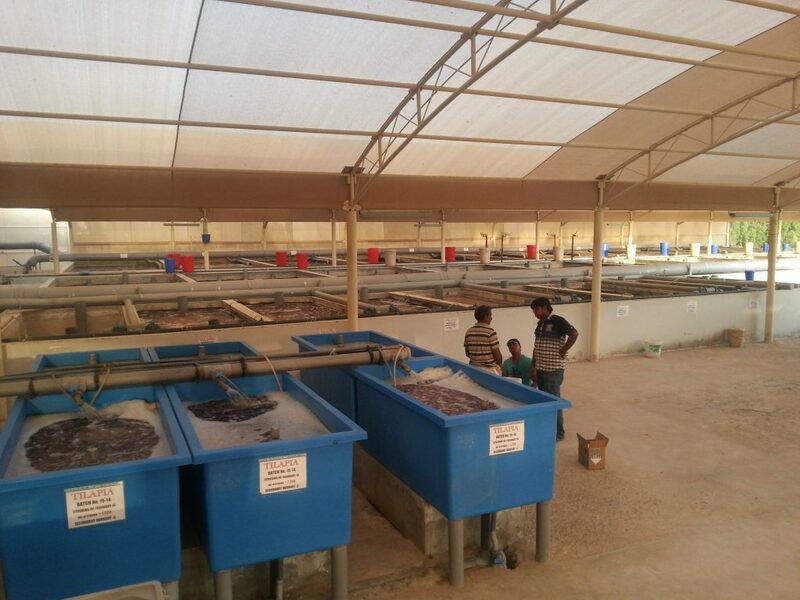 After completion of the local work, our Aquaculture ID mechanics came to final assemble the technology on top of the concrete work. The technology existed out of, among others, drumfilters, biotower, medium head oxygenator (MHO), etc. 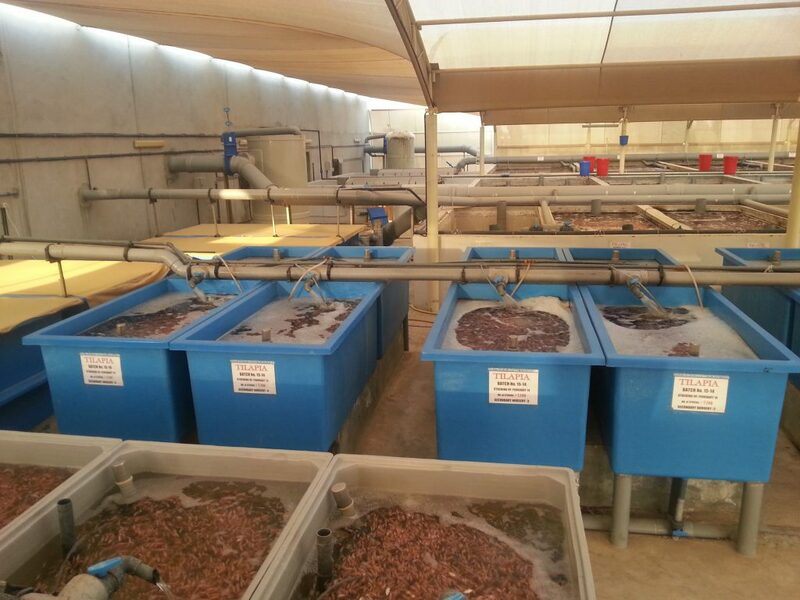 This project shows, once again, that we are team players as working together with local parties is essential to build an aquaculture project quicker, more efficient and cheaper.